Silver Shores Waterfront – Metro Detroit's Premier Waterfront Venue for Weddings, Social Events, Business Events and More! Silver Shores Waterfront has banquet facilities that can be arranged and configured in endless possibilities. Whether you’re planning a wedding, anniversary celebration, shower or business meeting, Silver Shores will impress your guests with the ultimate in stunning waterfront views, with renowned cuisine and impeccable service. Entertain your guests inside and out on the patio and have your ceremony in our beautiful pergola overlooking the waterfront. An elegant ballroom overlooking the water with floor to ceiling windows framing majestic views of the Detroit River, gourmet cuisine for your guest to enjoy and attentive staff to make your dream event come to life. Whether you’re planning a wedding, shower or special event, Silver Shores will impress your guests with the ultimate in stunning waterfront views, with renowned cuisine and impeccable service. 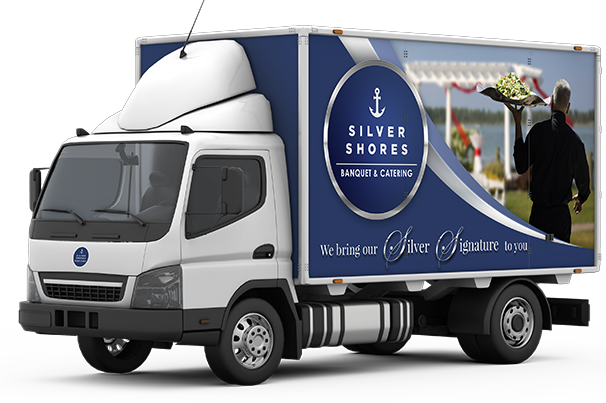 As a leading catering company in Southeast Michigan and Metro Detroit, we bring the best of Silver Shores to the location of your choice. Let us bring our Silver Signature to your wedding, corporate event, social event, promotional seminar or special event.